Recruiting is a win/win/win. Unlike most commercial transactions, recruiting is not a win/lose scenario. If I sell you a car I aim for the highest price, you push for the lowest. One of us will feel we ‘won’, the other a bit despondent that we ‘lost’. But in the perfect recruitment scenario everybody wins. Happy client, happy candidate, happy you. This is not as trivial as it seems. There is something intensely rewarding about doing a job where everyone is grateful, everyone is excited with the outcome… and then you get paid as well. You create great outcomes. Maybe the coolest thing about being a recruiter is that this is a job where you actually make good things happen. The candidate is reluctant to go on an interview, but through your influencing skills they reluctantly go along, do fantastically well, love the job, and get hired! The client won’t see your top talent because of something they spotted in the resume, but you persist, explaining the person is better than the paper, the client relents and your talent gets the job, gets promoted and in time becomes your client! For me, when I recruited, this was the real buzz. Making things happen. Controlling the process. I would crack open a beer on Friday and reflect. That would NOT have happened if I had not seen the opportunity and influenced the outcome. Beyond cool. And of course that leads us to another reason why recruiting rocks. What we do actually matters. I mean it really matters. Recruiters get a horrific rap sometimes, and often it’s deserved but hey, at the end of the day, we find people jobs! And that’s a good thing right? Something to be proud of. It makes an impact. We change people’s lives. We solve companies staffing issues. We help people further their career ambitions. Fantastic! One of the beautiful things about our business is that it is so measurable. This does not suit everybody I know, but in recruiting there is nowhere to hide, and I like that. If you have the right temperament, you will thrive in this competitive environment, love the fact that you can measure yourself against your competitors and colleagues, and revel in the transparency of fee-tables and pay-by-results. Truly in our business, you eat what you kill. You can own your market. If you have longevity, if you maintain integrity, if you deliver service and outcomes that your customers want… you can elevate yourself to a true trusted advisor, and then recruitment becomes a beautiful, beautiful thing. All your work is exclusive, all your candidates come via referrals and commendations, clients treat you with respect, seek your advice, bring you into the tent . You actually ‘own’ your patch and that is a wonderful place to be! Yes it’s true. Recruiting Rocks. When it all boils down, what all of us want from a great job is just two things. Fun & Money. And if you’re a great recruiter you’ll get lots of both. The fun of winning, the fun of finding people jobs, the fun of working in a job that actually counts. And money? I don’t mean how much you earn, although of course that important. I mean working in a job where you get a great return on your efforts. That is where it is at! So if you are having a down day. Never forget. Fun and money. For regular recruiting brain food, please subscribe to The Savage Truth. It is good to recruit but how best to go about it is what matters and the end result. David Palmer has made a very good comment above, Chris Walker is in my view completely out to lunch, and the rest, well, it's just manic rambling from the Mutual Admiration Society of Transitory Salespeople isn't it. What recruitment requires has changed. Forever. Either; - you 'get' this, OR, - you're open enough to learn how to get it, OR - you're desperately trying to figure out why your work just doesn't mean much anymore, to yourself or to others as it did back in the nineties and naughties. There is hope - a new mentality and practices that can be applied - you just have to want success really badly (that hasn't changed), position yourself close to a mentor or two who get it, and ideally have no recruitment experience or background pre-2008. Good to see that at least some people in the recruitment industry really love the work they do. Most of the recruiters I have come across crib about being stuck up between clients and the candidates. yes, very nicely put. Being a recruiter is the greatest! Good article. Crux is if Recruitment is your passion then only you can great in the same. When I first arrived in Sydney from the UK I registered with several recruitment firms. I was a systems engineer with firmware and electronic design skills. I was hoping I could secure a position quickly but I soon discovered that my skills were not that much in demand and for this reason the agencies were not that keen to help me. As a matter of fact some of the agencies did not have a clue about what I actually did and re-wrote my resume to match their own understanding which turned out to be a mess and nothing like my background whatsoever. This made me realise that perhaps there was an opportunity to things better. I did eventually get several jobs offers and I worked as a engineer and product manager for many years before deciding that I wanted a go at recruitment. At the time I wanted to make a difference for all the reasons Greg has pointed out. I believed there was a better way. By this time I was considered an old timer in the recruitment world which was and still is dominated by 20 somethings. After many attempts and a huge pay cut to my engineering salary I finally landed myself a recruiter role at a small agency and was given a desk, a phone and a computer. No training just get on the phones. This is typical of many agencies being thrown in the deep end - sink or swim approach. Cold calling is the worst part of the job, I hated it but I did it. Eventually I got some success. I started observing how recruiters operate. It's a dog eat dog world and very egoistical - sure everyone talks about teamwork but the highest billers were aggressive "hunters" lone wolfs. They protected their turf with a vengeance - sharing was for weaklings. Sharing meant lost opportunity and less in their pay checks at the end of the month. This is not surprising really given that being a recruiter is mostly a "push" activity. You have to push out calls, emails, interviews, client meetings, social media postings, blog posts and so on. Pushing consumes a huge amount of energy and dedication and getting thanks from your client or candidate just doesn't cut it. Only the financial rewards keep you going. You're only as good as your last placement. That's why the burnout rate in recruitment is probably the highest of any sales oriented industry. Recruitment is tough and don't let anyone tell you otherwise - those who last move up the recruitment career path into management or start their own companies. I went on to start my own agency, sold out took a break and then got back into it again in a technology sector I'm very passionate about. I've morphed my recruitment practice and positioned myself as a subject matter expert which gets me more brownie points with clients and candidates. As much as us recruiters get bad press I still believe that the good recruiters out there have a valued service to offer society. We make a difference in the world, be proud to call yourself a recruiter. Hi Greg, Being that my only experience in recruitment extends to sorority recruitment and several in-class sales projects, I understand that a profession in recruitment could be extremely challenging and discouraging. I have a strong passion for sales that I have obtained through several internships and sales classes, and I find that your reasons for recruiting to be an incredible form of sales to be inspiring, in both the aspects of personal fulfillment and control of the staffing cycle. "Happy client, happy candidate, happy you", is a statement that I find most influential in your persuasion about the importance of professional recruitment. The staffing industry plays a pivotal role in all aspects of the workforce, and in return, can be the most effective in terms of the satisfaction of all parties involved in the hiring process. In the sales classes I have taken, we have studied a method called "persuade by priority", which I find to be applicable in all aspects of sales, especially in recruitment. The meaning behind this method is to recognize the goals of the person you're selling to as well as the person you are selling for, be empathetic towards all needs, and create a game plan to achieve the ultimate goal of satisfaction. I feel as if this method of selling is most fulfilling in recruiting, as the client, candidate, and the recruiter's personal needs are met. In addition, creating a game plan can be an effective strategy for controlling the cycle of recruitment through designing an affective, long-lasting personal connection with both clients and candidates, which could lead to future business and give the recruiter a competitive edge. I find the aspect of measuring competition between staffing firms, colleagues, and your own progression to be very attractive. I am a very competitive person, and have learned to channel my competitive attitude into a goal setting, task-orientated, and eager to learn mind set to ultimately obtain success, which are very important characteristics of any sales person, especially recruiters. Ultimately, this article is an excellent persuasion piece that highlights the benefits of an industry that is often regarded with a negative outlook. 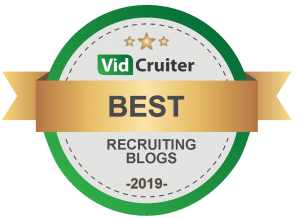 Excellent job of inspiring your audience to deepen and rekindle their passion for recruiting. Excellent post on this topic. Thanks for sharing it. Recruiters. Technology-driven, resume-shuffling, price-cutting drones? My biggest ever recruitment stuff-up!